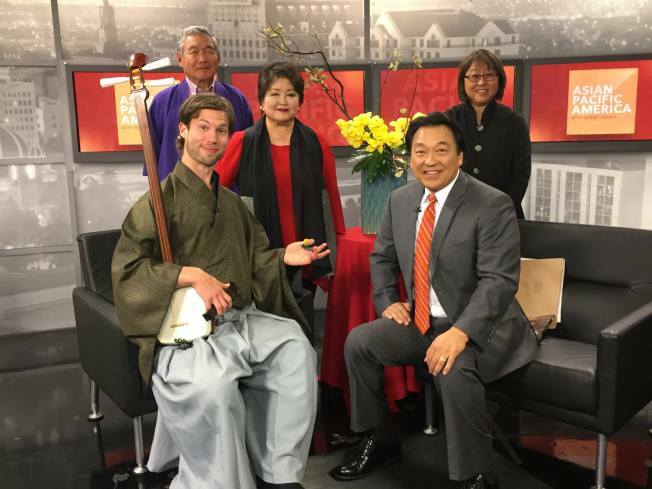 This episode of Asian Pacific America with Robert Handa featured the 38th annual Nikkei Matsuri Festival, which took place yesterday in San Jose's Japantown. The Nikkei Matsuri (Japanese-American Festival) embraces the local commmunity's love and appreciation of Japanese-American culture and heritage. In 1976, as part of America's bicentenneial celebration, the City of San Jose encouraged local ethnic communities to sponsor festivals to share their culture. The Japanese-American community responded with a successful festival which is now, the Nikkei Matsuri - San Jose Japantown. Asian Pacific America with Robert Handa is a weekly half hour show covering Asian newsmakers, events, community accolades and youth perspectives. Join us every Sunday on NBC Bay Area channel 11, cable 3 & 703 at 5:30 AM and on COZI TV channel 186 at 6 PM. Did you know one in every four residents in the Bay Area is Asian? Asian Pacific America serves as a platform for people to spread the word about the great things going on in Asian communities around us. We're always looking for new topics, interesting guests that explores our diverse pan-Asian communities that make-up what we call home in the Bay Area. Are you interested in promoting your event or cause? Share information about a significant award presented to a Bay Area Asian or Pacific Islander? We'd love to hear from you! Email us at lance.lew@nbcuni.com with some background information (press release, flyer, photo) and we'll contact you immediately if we can schedule you into an upcoming show. Please note guests are generally scheduled at least six weeks prior to their event date.